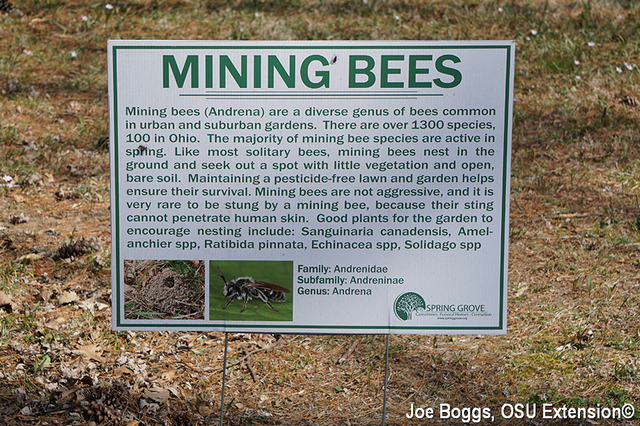 I visited Spring Grove yesterday and observed numerous males making their low-level flights in search of females. 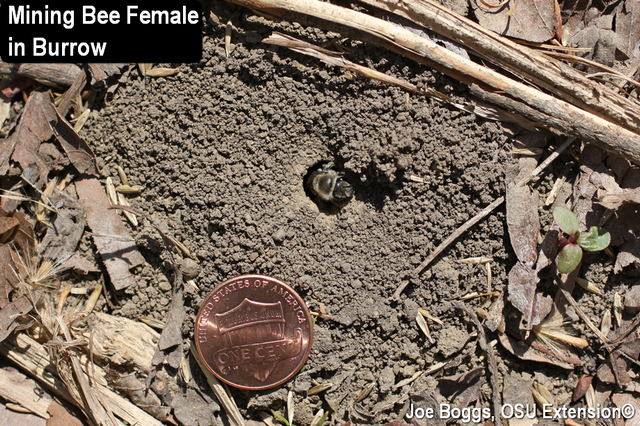 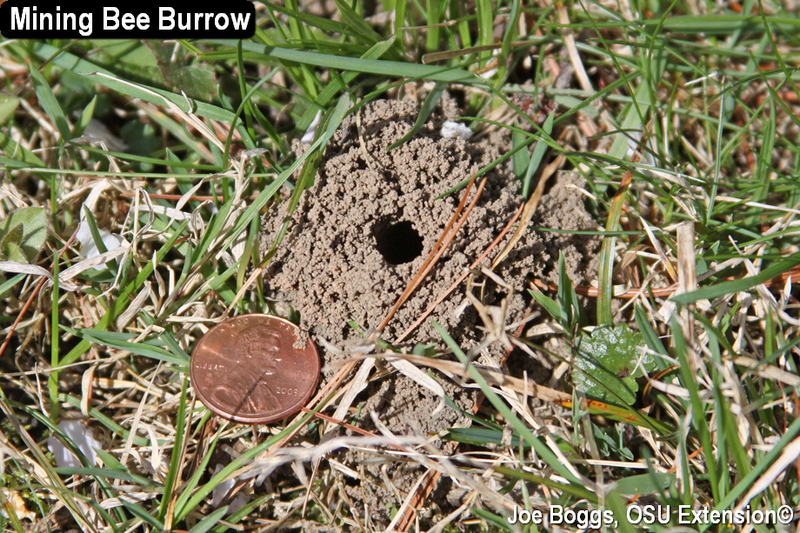 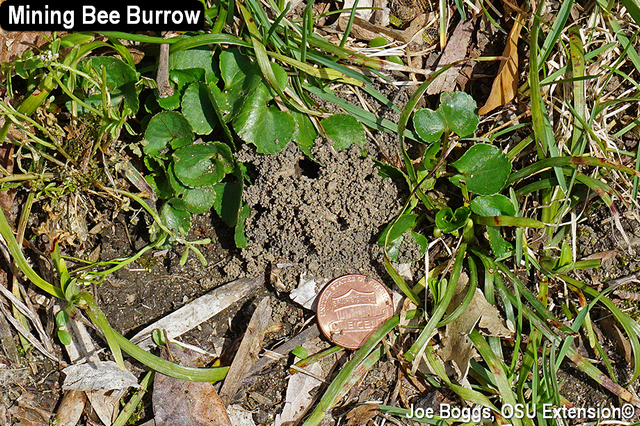 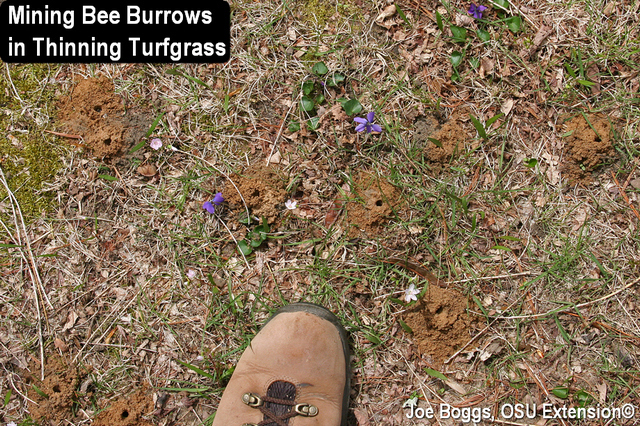 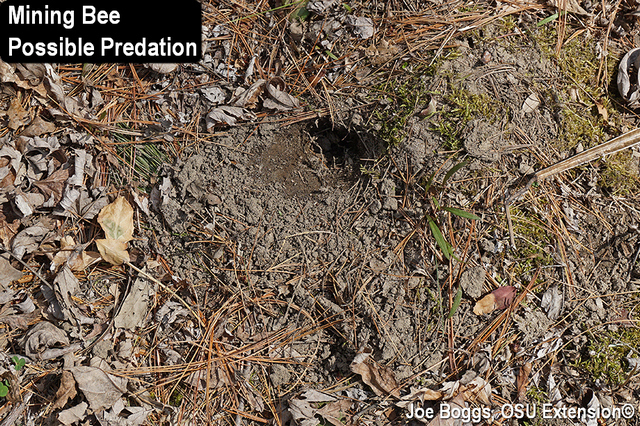 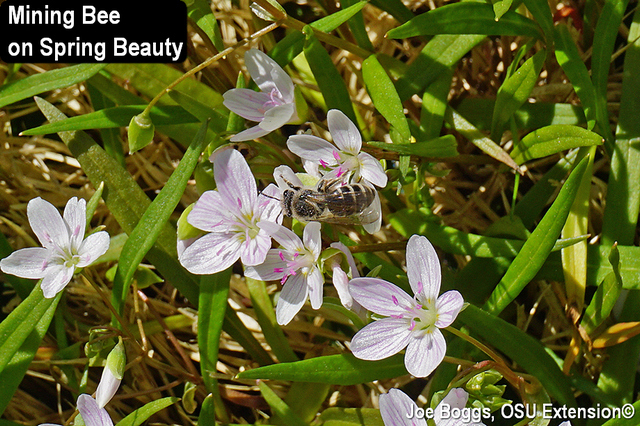 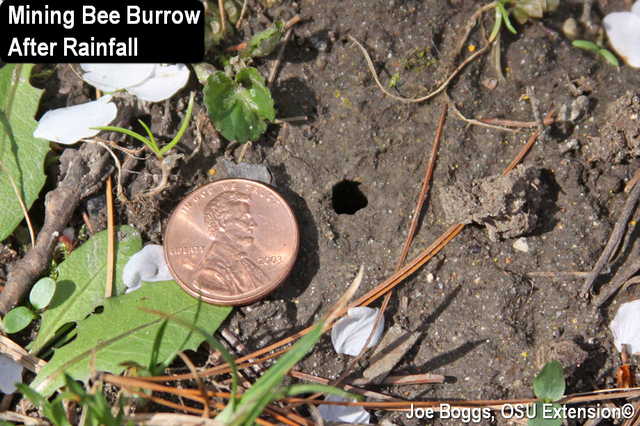 While there are multiple species of bees representing a number of families that create individual (solitary) burrows in the soil, there is a high probability that burrowing bees found in Ohio belong to the genusAndrena(family Andrenidae) with over 100 species living in our state. 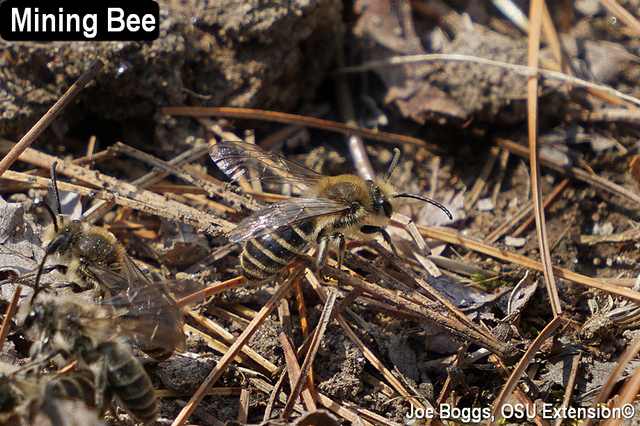 Many of these species have prominent banding on their abdomens which is even visible in flight. 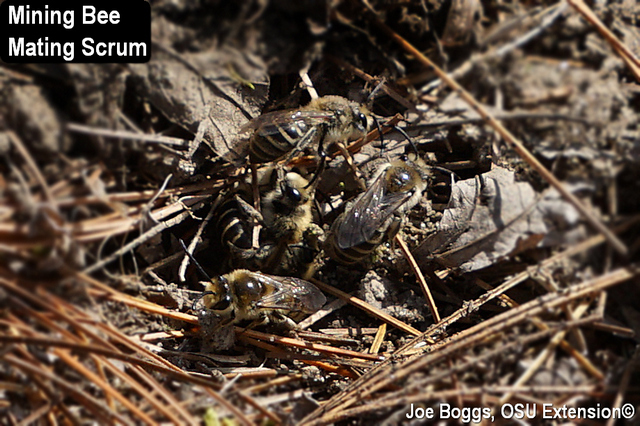 However, the collective buzzing sound made by the males can be intimidating to uninformed gardeners or landscape managers. 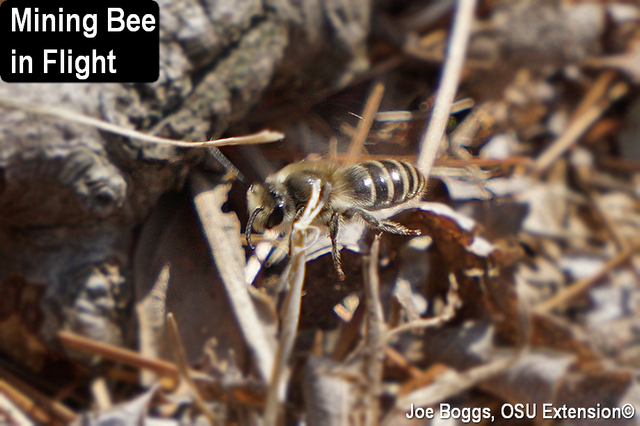 Indeed, the family name Andrenidae is derived from the Greekanthrenewhich originally referred to any buzzing insect.